The success of the Little Free Library stationed in front of Hoover Elementary in Mason City has led to the likelihood of more structures popping up at other elementary schools throughout the district. Bergland + Cram is partnering with the Mason City Community School District to design a Little Free Library for each public school in Mason City, most recently at Harding Elementary. “I am proud to be a part of this great community service project to give back to the community that gave me so much growing up” said Kelly Harbacheck, Intern Architect for Bergland + Cram. The project involves students from many grade levels in the Mason City area. Elementary students at Harding provided ideas and thoughts about what they want for a Little Free Library, and were the final judges on colors chosen. The North Iowa Area Community College (NIACC) Building Trades class and Mason City High School’s Shop Class will complete construction. The MCHS Shop Class will start off by pouring the foundation for the library while NIACC Building Trades acts as the General Contractor. The two classes will work together as Building Trades does the frame work and pours concrete, and the Construction class creates the book shelves and large scale letters that make up the design. Funds are being provided courtesy of the Cerro Gordo County Medical Society and Medical Alliance. Costs will be kept low with labor and materials donated by area businesses. Northern Cedar Service will provide roof materials, J&J Welding will craft the steel for the roof, and Mason City Glass will create the plexi-glass covers of the book shelves. All three businesses also donated to Hoover’s Little Free Library. The partnership with Mason City High School and NIACC will provide the future of our Building and Trades Career Professionals with a hands on experience they will continually get to see be used by the North Iowa Community for many years to come. Students will also be able to use this project experience as a portfolio piece in the future shall they decide to stay on the building trades path. 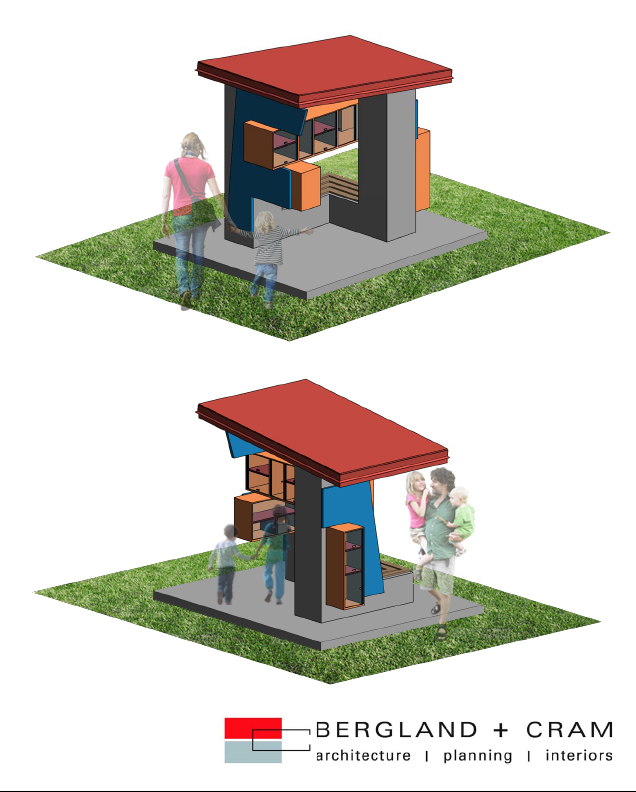 The Harding Little Free Library is aimed to begin spring 2016.